NEW! 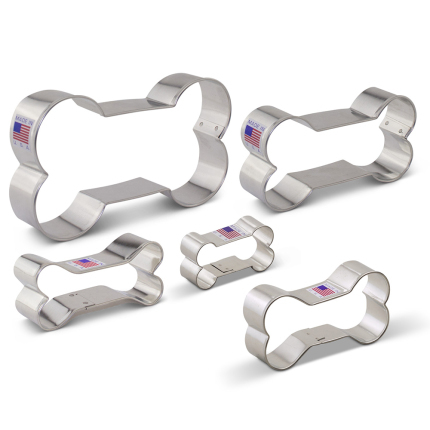 Make your pet pooch delicous homemade dog treats or delight a dog lover in the family with Ann Clark's 5 piece cookie cutter set with dog bones in all different sizes. 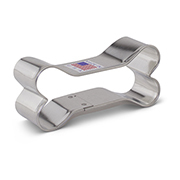 You can also make a variety of dog bone shaped items for animal charity fundraisers. 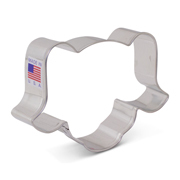 Dog Bone Cookie Cutter, 4"
Size: 2 3/4" x 3 3/4"
Dog Bone Cookie Cutter, 3 1/8"
1 3/8" x 3 1/8"
Size: 1 3/8" x 3 1/8"